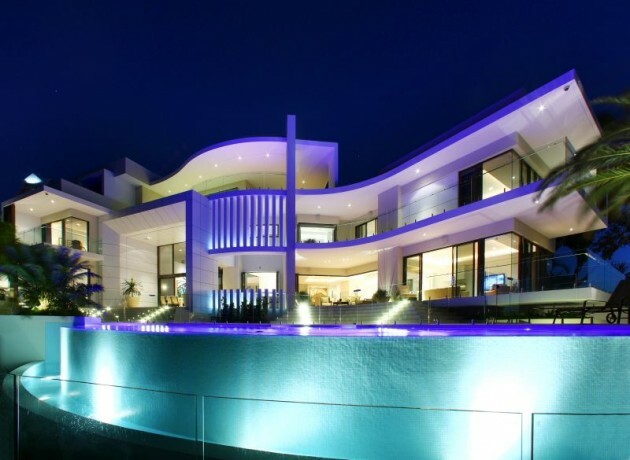 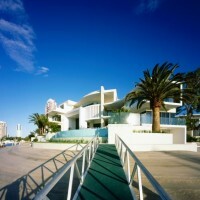 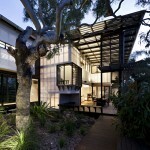 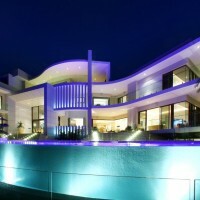 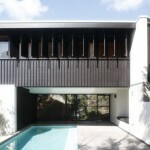 Australian designer Jared Poole has designed the Seafarer Residence in Surfers Paradise. 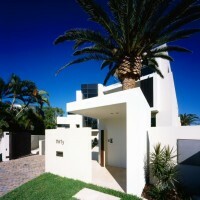 Location : Surfers Paradise, Queensland, Australia. 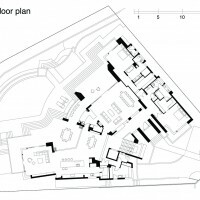 The composition and massing of this 3 level plus basement carpark residence was a response to the shape and constraints of it’s site. 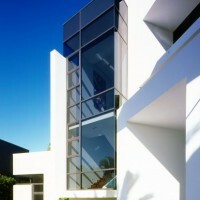 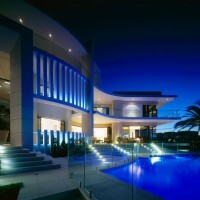 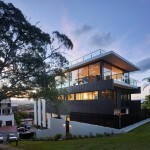 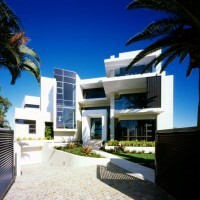 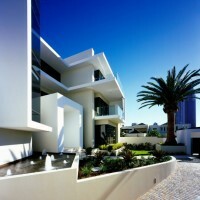 Located in Surfers Paradise, Australia, the site tapers out from a street frontage of 10m, to a water frontage of almost 60m capturing views from the hinterland to the ocean, this delivered opportunities from most off the house to provide an outlook, whilst maintaining privacy from neighbours, influencing the planning of the house. 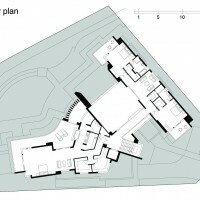 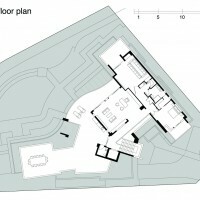 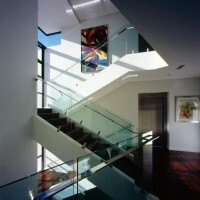 Strongly expressed lines and flowing forms emphasize a strong relationship with the site. 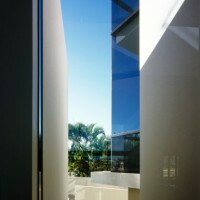 A balanced application of horizontal and vertical elements complement the use of framed elements to provide relief to the visual bulk of the building. 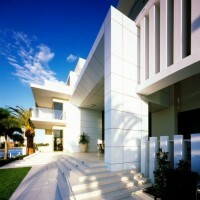 Visit the website of Jared Poole Design – here.